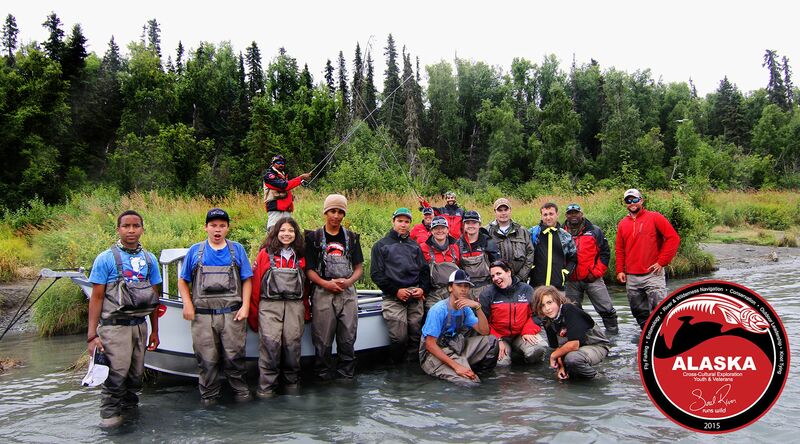 Alaska 2015 Expedition: A Cross-Cultural Exploration - Soul River Inc. 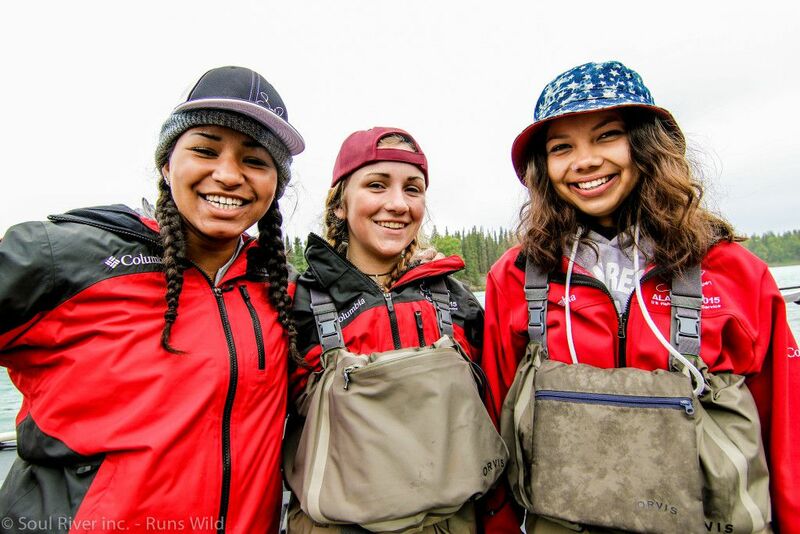 This August, inner-city youth, U.S. veterans and volunteers came together to form a community in the midst of Mother Nature’s rawest environment: Alaska’s rugged wilderness. Black, brown, or white, religious or non-religious, soldiers of war and soldiers of the streets, from Oregon, Washington, and even Florida, all mashed into an unfamiliar, lush environment abundant with wild animal, aquatic, and plant life. We were experiencing firsthand the wildest of our public lands. As Americans we are blessed with vast public lands that belong to all of us. Sadly, the kids I brought to Alaska don’t have the chance to spend the time they need to heal in the amazing public lands in their own backyards. But it’s important those protected lands are there for them, waiting to help. 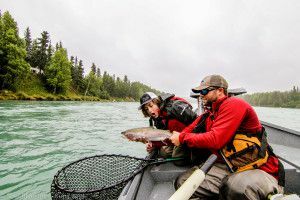 Alaska is on the bucket list for so many people who hope that one day they can have this ultimate lifetime experience. 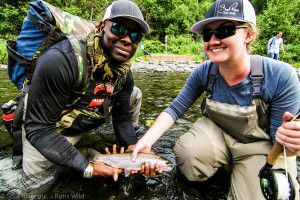 For Soul River, our bucket tipped out 20 veterans and youth along with three volunteers into an authentic, cultural expedition that weaved organic community, conservation, and environmental awareness together with the robust cord of the fly fishing lifestyle. 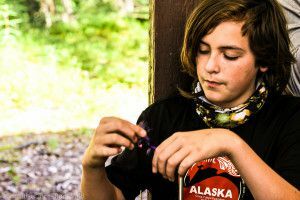 This community was for youth who hold a primitive desire to be in the wild but may be less fortunate, with odds already in their young lives stacked against them. Perhaps the conditions in our society have already grasped a firm pressure on our youth, especially on the less fortunate and the most vulnerable. Maybe being born with the bullseye of diverse skin color, choosing an unpopular path, or just not having a loud enough voice to be heard has created a barrier to your desired path. Perhaps no one is listening because they judge the way you look, how you talk, or even where you come from. 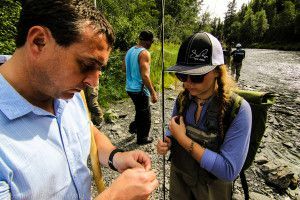 I witnessed a paradigm shift in the art of fly fishing as it transformed into a community and familyhood. 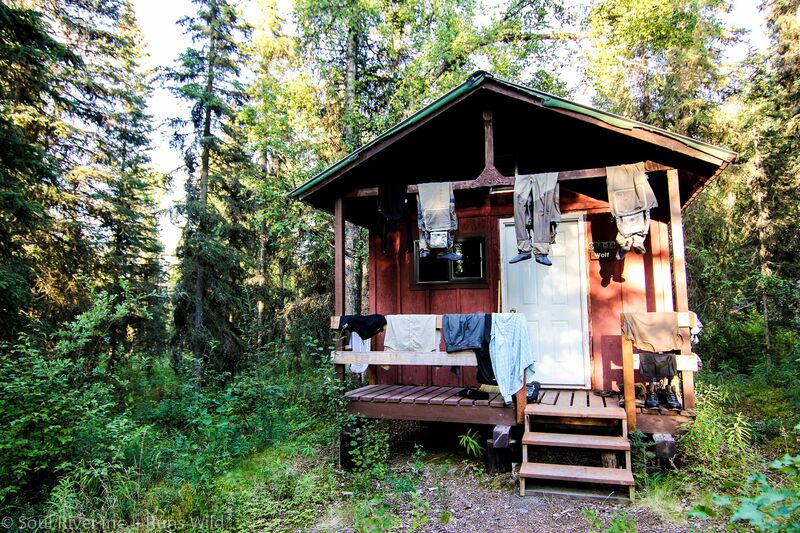 It brought chills to my bones, humility in my walk, comfort to my soul, and a tear of gratitude each night as I walked down a path to my rustic cabin. Months of preparation created opportunity for these 23 souls. Preparation included so many partners and sponsors who were willing to take the risk with Soul River. Clearly they realized the vision beyond themselves or their companies in that they gave back to the future generation of ambassadors – the young minds that are molded each day by their experiences, whether healthy or unhealthy. Together, we may have saved a life, validated another being, and inspired endless possibilities. As we stood around the fire, the youth all nestled in their cabins, a U.S. Marine stated that this is a spontaneous community. She was right. Strangers taking a risk with other strangers, trusting that we have each other’s backs. We watched youth form connections. We witnessed veterans mentor and share stories of their own struggles while youth intently listened and took notes, smiles full of curiosity, peppering questions, acquiring new vocabulary, all followed with giggles, laughter, and introspective reflections of what each person has learned from the day. A true testimonial for Soul River Inc. Runs Wild! 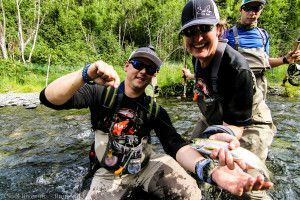 Where U.S. Veterans are put in a natural green space to mentor and guide the next generation through the realm of fly fishing lifestyle, which acts as a release of toxic thoughts, attitudes, behavior or other issues that are just not good to hold into our minds, young or old. We teach to give and we accept nothing in return as veterans other than to hope and see progress and change within young people. 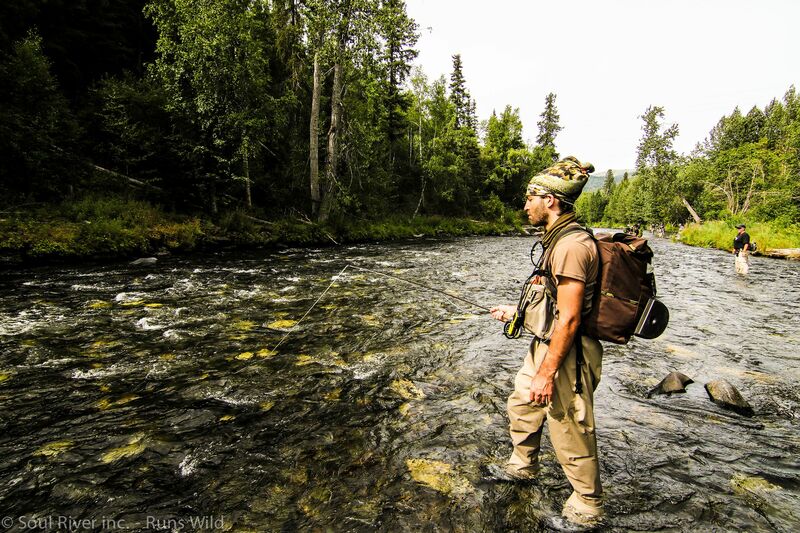 To speak solely of fly fishing would only cripple what this experience is about. 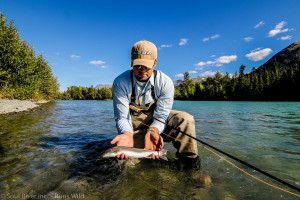 But to speak of the lifestyle of fly fishing and how it pertains to our daily urban lives — that makes it much more engaging and productive. Lifestyle is king, encompassing a multitude of ethnic backgrounds and challenges. To connect deeply, through these challenges, behind the walls we all erect, takes patience. Each day brings a new evening setting in the Alaskan wilderness. 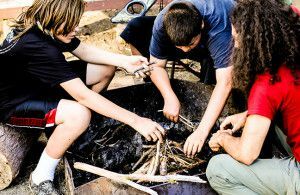 A U.S. Army veteran taught youth how to build fires and sing around a campfire. He taught them the survival way in incremental stages of gathering tinder, setting it up, and lighting it, but also about respecting life, and how that relates to taking care of one’s self. 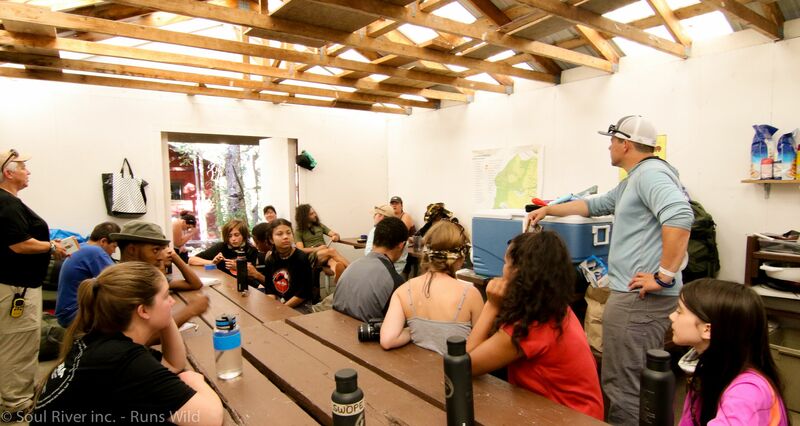 A U.S. Marine veteran provided incredible land navigation opportunities which really tapped into critical thinking skills for the youth as they learned compass reading, deciphering and understanding coordinates and grids, typography and map reading and wilderness navigation. A U.S Navy veteran and fellow Soul River Inc. 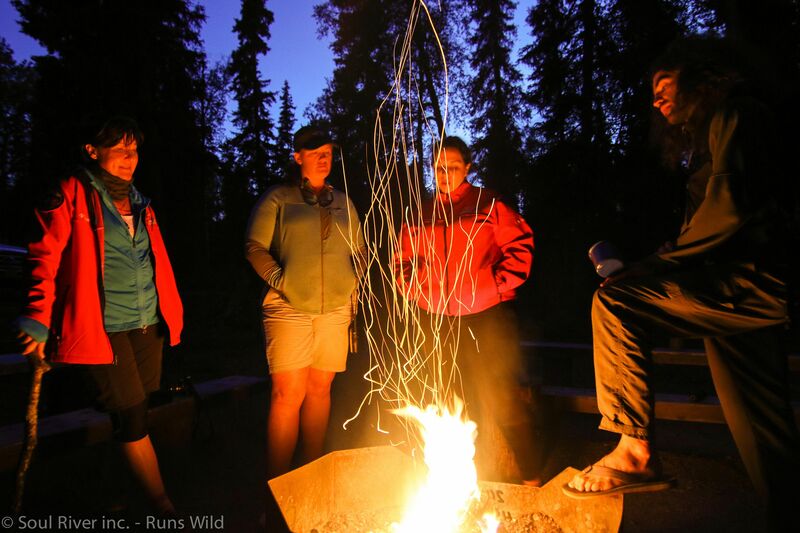 Runs Wild volunteer led group exercises analyzing the importance of conservation and not just what is in our rivers, but why it’s important to be mindful of the cycle of impact and how we need to protect our natural resource and our public lands. We raised awareness of public lands and how we need to be part of the process to protect natural, wild spaces. We built their knowledge of the aquatic insect world. 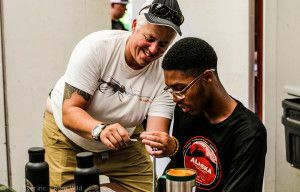 And we raised awareness of angler ethics as a river steward, and identified species to pursuing the art of fly fishing while adapting into our lifestyle and community where relationships can grow and be fostered for tomorrow’s outdoor ambassadors. 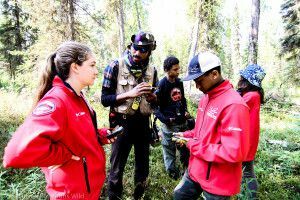 The Alaskan wilderness became our social, eco-justice platform for leaders, veterans, sponsors and partners coming together as one intentional, socially conscious army. 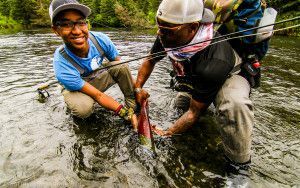 Breaking the barriers and changing the face of color to green, leaving the ignorance of hate, sharing differences and faults between a veteran and inner-city youth, and giving opportunities to explore the wild and let a youth be a youth in the outdoors guided by soldiers. Our youth learned about different career paths every morning from the U.S. Fish and Wildlife and Service folks. 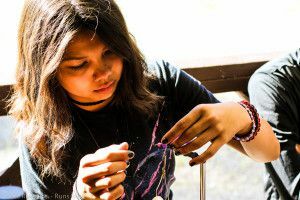 They developed new vocabulary and critical thinking skills, and learned to live simply in authentic community, which was challenging to a young urban mind. But they learned to be adaptive to the environment and aware. 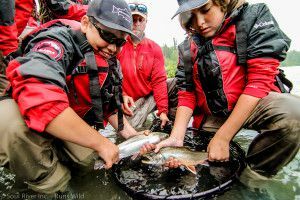 Nature is an organic magnet and it is the perfect platform for birthing a new community of outdoor ambassadors young and old challenged to consciously protect our public lands, and respect the sacredness of indigenous cultures who fish and hunt to provide for their communities. 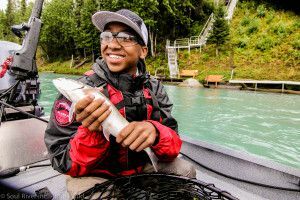 The Kenai Peninsula Kenai National Wildlife Refuge is rich in wildlife beyond our own comprehension or what we witnessed, yet youth learned know the environment is delicate. The wildest of thoughts and dreams within these two weeks was a glimpse to understand the richness and wild of the land of Alaska. 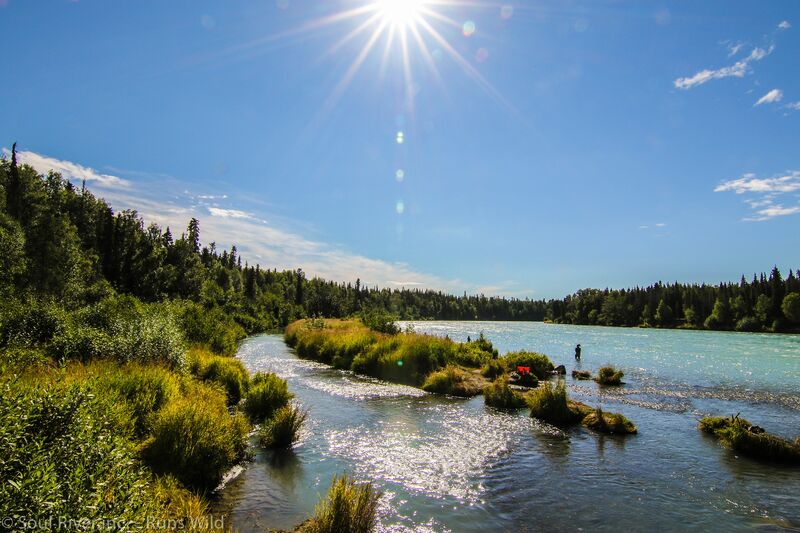 We camped, fished, watched wildlife, and built community in and throughout the rivers and streams and forests and meadows of the Kenai National Wildlife Refuge. The places, these public lands are so invaluable to us, to this nation. 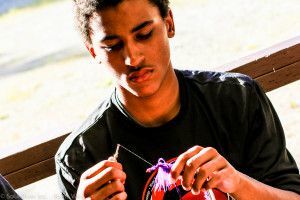 For some, this was a new release and break from the mental stress and issues youth and veterans fight with post-traumatic stress disorder, traumatic brain injuries, and other problems. For others, simply putting on waders and boots or sleeping in the deafening silence of the wild was entirely new. For many of the veterans, the soul awoke, the mind and spirit of warriors arose after being asked to lead and guide youth, and some of the most raw, natural medicine was delivered. To say this trip was a success is an understatement. This was truly an incredible, once-in-a-lifetime opportunity that each participant will carry forward and apply to their lives in some way. In my opinion, a young mind is never the same after experiencing the wild. I give thanks to our vibrant system of public lands that support what Soul River Inc. Runs Wild does. Without wild places, we have no place to be wild. 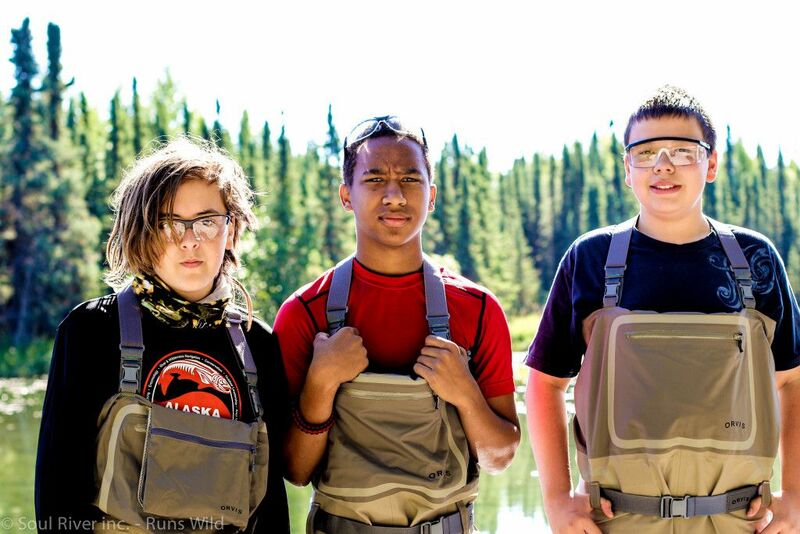 Without the outdoors, we have no place to show youth our and their true selves. 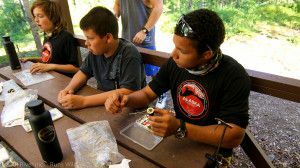 The outdoors is the canvas on which we can build community and guide youth. 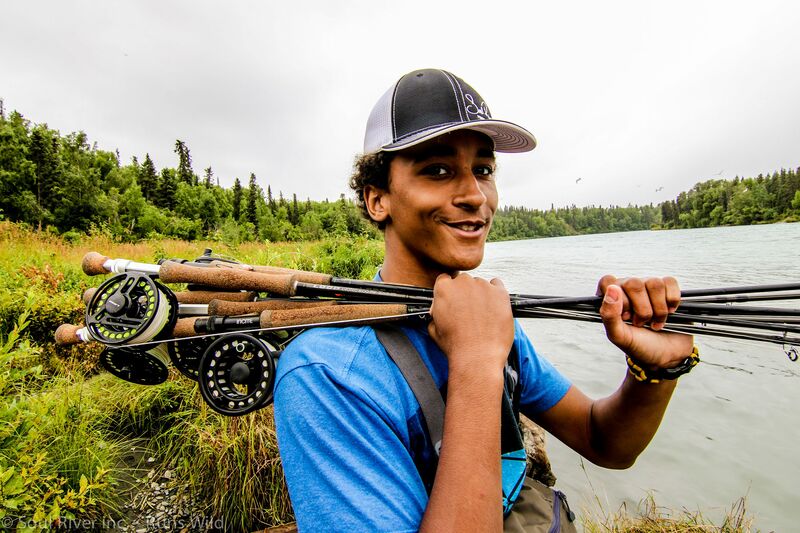 The Kenai Peninsula in all of its abundance was created by Mother Nature, but the Kenai National Wildlife Refuge was established by Congress, and is supported by policies and programs like the Land and Water Conservation Fund. Policies like this must be continued so they can protect open space for youth, veterans, and all Americans who need outdoor medicine. I’m grateful to leaders like Senator Ron Wyden, Senator Jeff Merkley, Senator Maria Cantwell, and Senator Patty Murray and Interior Secretary Sally Jewell – all champions for our public lands and policies like the Land and Water Conservation Fund and Antiquities Act, which support protecting public lands for future generations. We can’t afford to have any public lands sold to the highest bidder. I’m grateful to our leaders for defending and keeping our public lands in public hands. 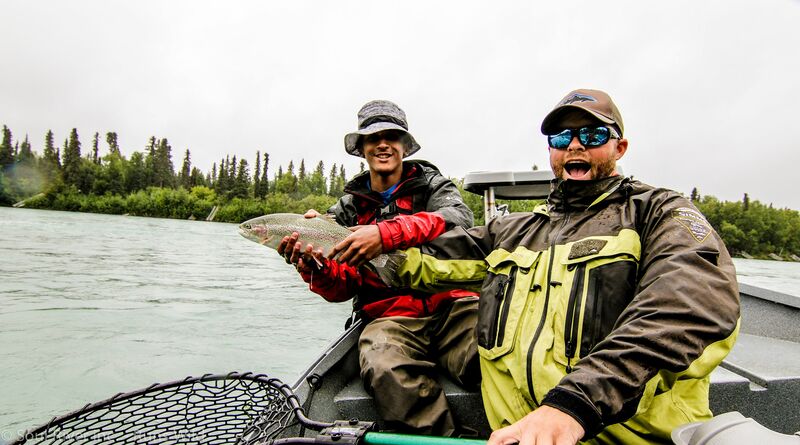 Lee Kuepper Alaskan Guide LOOP USA pro team guiding Sean on his first big kenai trout. Jajuan first catch! A Dolly Varden! J Michelle Helping Judah first catch! Jayden first catch of a lifetime! Nice Trout! 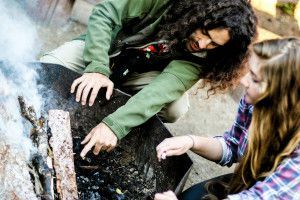 I also respectfully give thanks for everyone who joined me in taking a stand and believing in making a change in our society by connecting underserved youth to nature. Thank you for standing together as one army to make this happen for many young lives. Thank you to the many soldiers who have given their lives on the front lines and fought for the breath of every household family to wake up in a safe place of comfort. Thank you deeply for our partnership with the U.S. Fish and Wildlife Service, LOOP USA, SIMMS, ORVIS, MOUNTAIN HOUSE, COLUMBIA SPORTSWEAR, TROUT UNLIMITED, FAIR FLIES, RAINEY FLIES, DAIICHI HOOKS, EVOLTWIN, WOLF EDUCATION & RESOURCE CENTER , LEE KUEPPER ALASKAN GUIDE LOOP PRO TEAM, BOB TRIGGS, BIG STICK FLY FISHING AND PPS TITTLE VII INDIAN EDUCATION – all of whom supported the vision and the action to stand with Soul River Inc. Runs Wild, who provided opportunity and gave back to underserved communities and U.S. Veterans. 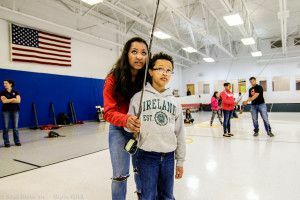 Last to days of our trip in Anchorage, AK – Some local children had the chance to try their hand at fishing Friday down at Ship Creek. 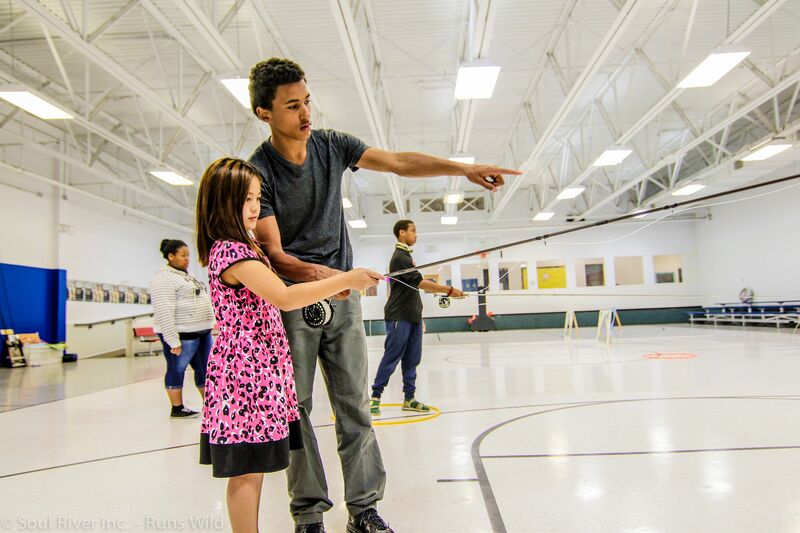 The Boys and Girls Clubs Alaska partnered with US Fish and Wildlife here in Alaska to teach the children of the Muldoon Boys a Girls Club how to fish. Soul River was invited! 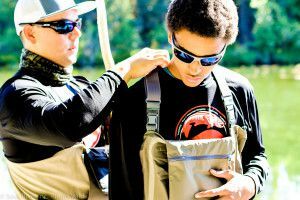 And our youth had the oppurtunity to teach what they leanred from their trip and teach how to fly fishing to younger kids in Anchorage! What a site to see!!!!! For more information about Soul River Runs Deep nonprofit you can go here. Soul River Inc. 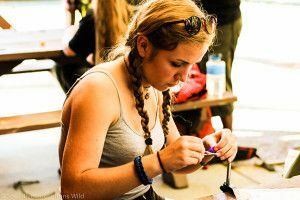 Runs Wild And you will see how you can be part just by volunteering on our outings. We are constantly looking to partner, grow our volunteers and build our veteran community. 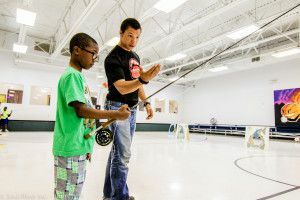 If there is any veterans whom want to help and be a mentor for our youth please contact us! Our Tax ID is 45-4860210.